I mentioned on an earlier post that while visiting Australia’s capital city Canberra recently I found a CD/DVD store advertising “20% OFF ALL STOCK”. That’s a good sign for any decent collector. Inside though I didn’t find much in the way of Beatles or Beatles-related material – except for a heavily discounted, brand-new DVD of The Rutles – “All You Need Is Cash”. 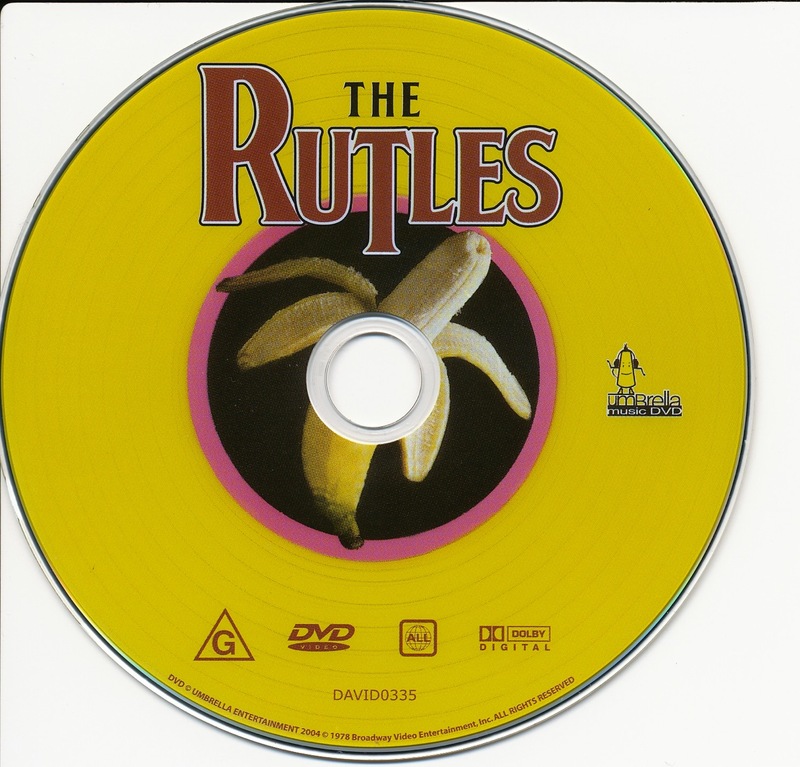 The Rutles is an Eric Idle and Neil Innes invention, a very funny and clever Beatles parody group. I’d never seen the film, and for A$6.40 it was a bargain. 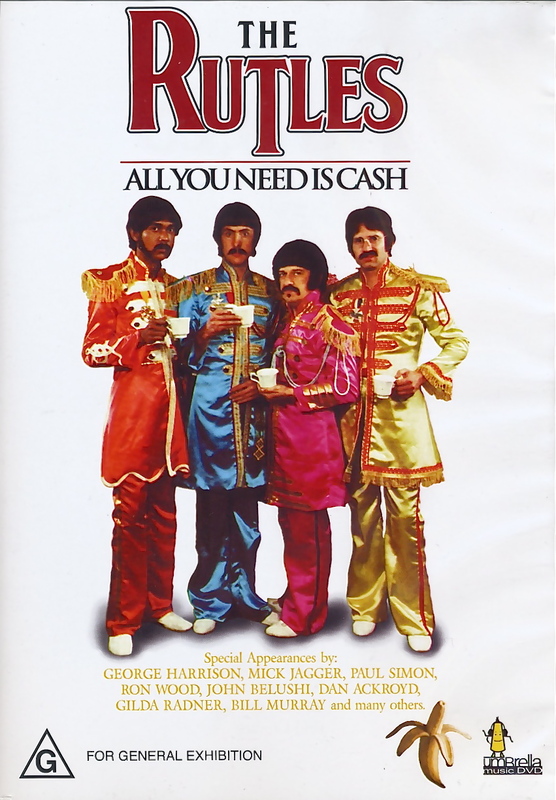 “All You Need is Cash” comes from 1978, and started life initially as a comedy spot on the US TV show Saturday Night Live. It grew from those humble beginnings into a fully-blown “mockumentary” style film that was shown on NBC-TV. George Harrison lpayed along and even appears briefly in the film. 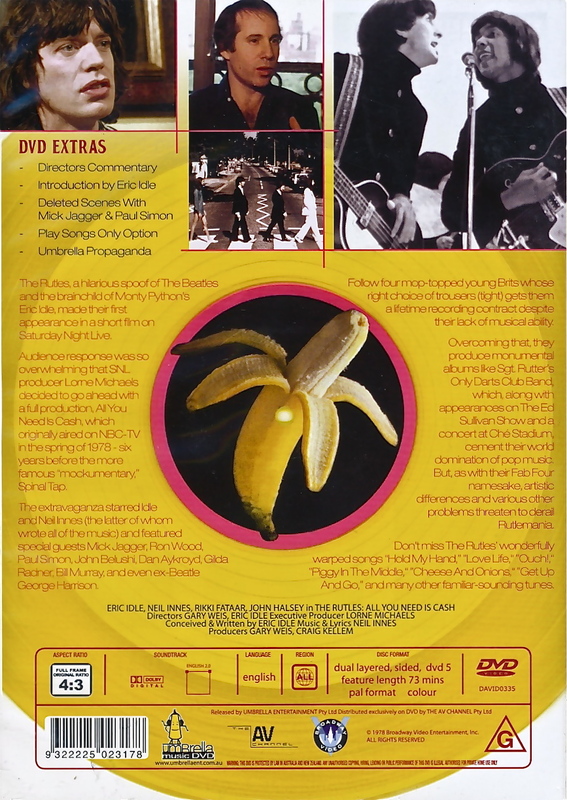 In addition, at the same time I’m discovering this DVD, the Rutles have a brand new presence online – with a fully-blown comic parody of the the Beatles/Cirque du Soliel CD and Las Vegas show “Love”. It’s called The Rutles “Lunch” and its only recently gone live. There is a lot of fun content to click through on the “Lunch” web page, including a stream of the entire album. It also has sections on The Show, Music, Making Of, and Contact – all a very close mimic of the Beatles own official “Love” site. As you can see, even the artwork closely resembles the original. If you’d like to listen to individual songs and not have to download the entire album there’s a song-by-song download page with background to how each song came about. Click here for more on the official Beatles releases of “Love”. This entry was posted in Beatles, Beatles Collecting, Beatles Related, George Harrison and tagged All You Need Is Cash, Beatles, Beatles Collecting, Beatles Parody, Beatles Related, Rutles Lunch, The Rutles by beatlesblogger. Bookmark the permalink.